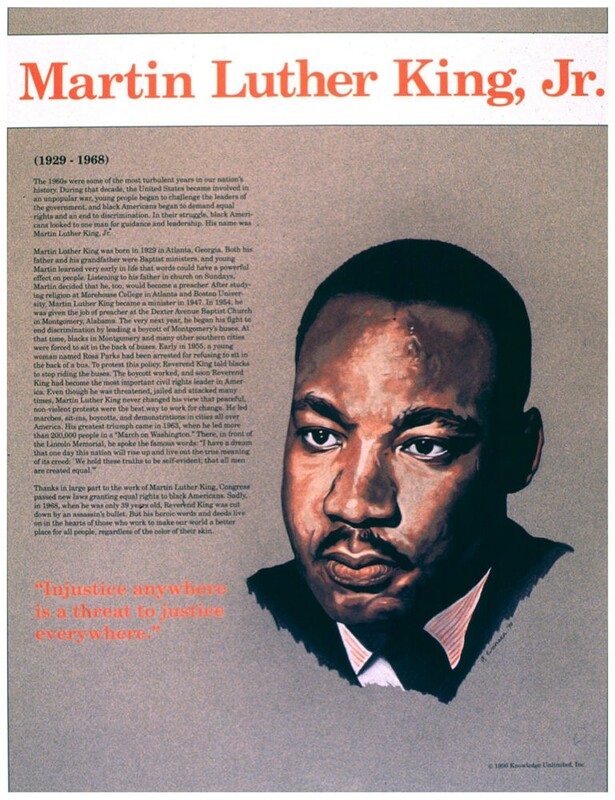 This educational poster features a striking image of Martin Luther King, Jr., along with biographical text, and a famous quote from him saying: "Injustice anywhere is a threat to justice everywhere." Dr. King played a pivotal role in the successes of the American civil rights movement, as he bravely fought for social justice in spite of the dangers to himself. Sadly, he was cut down by an assassin's bullet when he was only 39 years old. 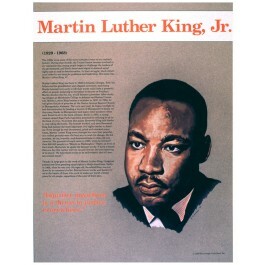 This poster is a great way for students to learn more about one of the most heroic and influential figures in U.S. history.